With rich industry experience and knowledge, we are providing an excellent quality range of Fume Hood Cabinet. Offered Laminar Flow Hood Cabinet is designed and developed in accordance with national market trend and keeping in mind the precise demands of our clients. Approx price: 30000 rs. to 300000 rs. Our company has gained name and fame in presenting Fume Hood Cabinet. 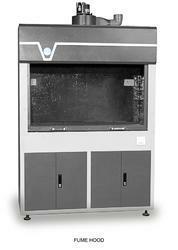 Specification: Fume Hood is with a variety of standard dimensions. Also our booths can be custom engineered to any size. 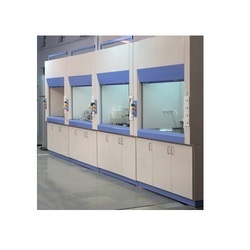 We make top quality Fume Hood Cabinet available to the customers at budget-friendly market prices.